If your Word document contains sensitive information, it is necessary to be set with a special password. You can password protect your Word 2007 document to keep them safe and secure from unauthorized access. This article covers how to set a password to a MS Word 2007 document so that a password is required to view or modify it. How to Password Protect Word 2007 Document Containing Sensitive Information? Step 1: Click the Microsoft Office file Button, and then click Save As. Save your document as a Word document or Word template. Step 2: When “Save As” window pop up, Click Tools, and then click General Options. Step 3: You can type a password in Password to open or Password to modify or both of them. Click OK. Step 4: When Confirm Password prompted, retype your passwords to confirm them, and click OK. Step 5: Select a save location, type in a filename, and then Click Save. That’s all, how easy it is! Then the next time you open your Word 2007 document, you’ll first be prompted to type the password to open the document. 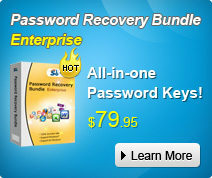 So, do not forget the password, or only Word Password Recovery tool can help you crack the password. If you are interesting in Word Password Recovery, please visit our website. Microsoft Office Word (*.doc) document which is widely-spread used by Office employee, has a feature allows users to password protect, encrypt and lock a *.doc files in order to prevent unauthorized users from opening or modifying your MS word documents. It is important to done the password protection and encryption if your word document contains sensitive information. 1. Before set a password on your document, you had better to consider writing down the password and keep it secure. That way, if you lose or forgot the Word password, it will be easier to recover the password. 2. Word document has two types of password. One is “password to open” and the other one is “password to modify”. You can use either one to password-protect your document. 3. Microsoft Word document supports numerous encryption types. There are “base”, “enhanced” and “strong” varieties. However, password protecting a word document does not 100% guarantee that the password cannot be decrypted or be hacked. Whatever you forgot word password or someone else hack the password. You can learn how to recover Word password from SmartKey official site. Now, follow this tutorial to password protect MS word 2003 document. Step 1: Open document you hope to password protect and encrypt. Password to open: if you want users to enter a password before they can view the content, type a password here. Password to modify: if you want users to enter a password before they can save changes to the word document, type a password here. Both passwords: You can also assign both passwords, one to access the document and one to allow specific users permission to modify its content. If you wish to use a different encryption settings type, click Advanced, choose an encryption setting type you want in the list, and then click OK. And you can also specify the number of characters in the Choose a key length box. Step 5: Implement a password to protect your word document and confirm the password. Step 6: After password protecting word document, Click Save. All the steps are finished. If you are interesting in Word Password Recovery , please visit our website.